Rolling Stone magazine is an American icon with 45 years of history feeding pop culture news around the world. With the exponential growth of the Hispanic population in the United States, the magazine asked us to find a way to become more relevant. We proposed to change the language of music. 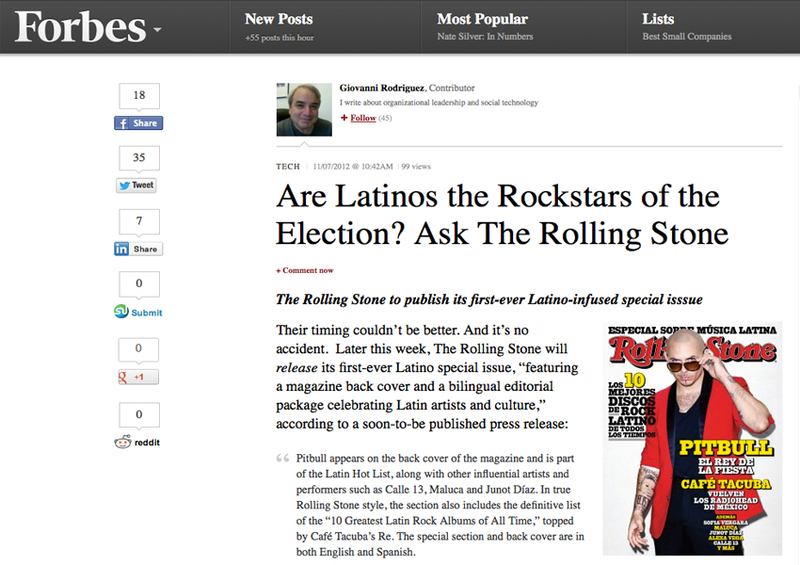 If an American icon like Rolling Stone is focusing on Latinos, creating the first-ever bilingual Rolling Stone will magnify everything related to that culture. And it sure did. The edition sold-out in record time in the United States with over 66 Million media impressions to-date and created a 34% awareness increase among the target audience.